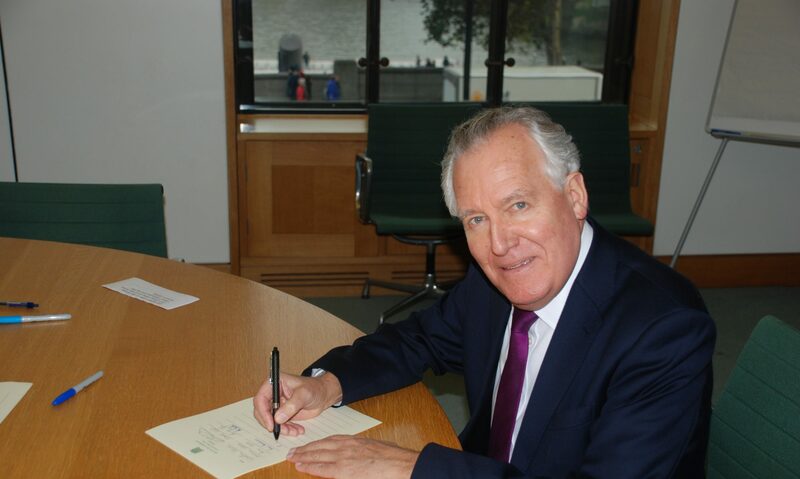 The anti-racist politics of the 1970s gained a wider audience than a conventional political campaign, recalls Peter Hain. Were it not for the launch of the Anti-Nazi League in 1977, the disturbing rise in the National Front may well have continued. In the mid-1970s they had pushed the Liberals into fourth place in parliamentary by-elections and in the 1977 Greater London Council elections polled fully 10 per cent of the vote. Just as significant, they had attracted some following among disaffected working-class youngsters unable to get a job, and there was something of a fashion for Nazi insignia and regalia among ‘skinheads’ who menacingly shaved their heads and wore heavy boots. Wherever the National Front was active there was also a disturbing inevitability about rises in local racist violence and intimidation. Yet, despite good intentions to oppose the National Front, trade union and Labour party activity had no impact because it was organised in a traditional way that never touched the problem. Instead, the ANL organised with real urgency, stressing unity in action, not endless theorising or repetitive meetings. It fused anti-racist politics with the popular youth culture of the day – probably the first such protest group to achieve this – and thereby gained a wider audience that would not have touched a conventional political campaign with a barge-pole. Working-class youngsters swang behind the ANL in a way that had never been achieved before. The contribution of rock music or, to be more precise, the punk and reggae music of the late 1970s, was crucial. Rock Against Racism, national carnivals and local gigs involved huge numbers of people and were organised jointly with the ANL. Anti-racist politics remained deadly serious, but for the first time it could also be fun. Another factor contributing to its success was the self-organisation implicit in the campaign. Thus we had ‘Teachers Against the Nazis’, ‘Students Against the Nazis’, ‘Miners Against the Nazis’ – even ‘Vegetarians Against the Nazis’ and ‘Skateboarders Against the Nazis’, each with their own badges and leaflets, taking their own initiatives and involving their own people. Within a year of its launch the Anti-Nazi League had mobilised hundreds of thousands of people across the country either to act within their own peer groups, workplaces, schools, colleges or local communities, or to join together at local and national events. Wherever the National Front tried to demonstrate or leaflet, they were opposed by the ANL, and were denied platforms to spread their hate. This confrontation strategy was highly controversial. But I still believe it was essential to mass in this way in order to prevent the National Front swaggering through black or Jewish communities and causing violence as a result, just as when the Blackshirts, led by Oswald Mosley and targeting Jewish communities, were physically stopped by leftwing activists in Cable Street in London’s East End in October 1936. As a result, within a few years the National Front was put out of business and one of its leaders, Martin Webster, publicly admitted that the ANL had caused this. Were it not for the ANL’s successor, Unite Against Facism, the British National party and the English Defence League – exploiting Islamophobia as well – would equally not have suffered their recent catastrophic decline. They too have been unable to organise and demonstrate successfully. Margaret Hodge increased her majority in Barking at the last general election despite the BNP also increasing its vote in large part because, as she graciously acknowledged at a UAF conference, of the anti-fascist work allied to community organising done there.